An Aurora Police officer has been charged with theft and could lose her job for allegedly fabricating a call so she could collect overtime pay. According to Aurora Police, Kimberly Hanson, 43, of Plano, has been on administrative leave since Oct. 3, just days after the alleged incident occurred. It is alleged that on Sept. 29, Hanson, a 20-year veteran of the department, was on shift around 10:23 p.m. when she radioed in that she was helping a motorist near Route 59 and Liberty Street. Aurora Police Department Spokesman Dan Ferrelli said that Hanson noted that she was going to stay with the stranded driver until a tow truck arrived. By the time Hanson returned to the station, her eight-hour shift had turned into a nine-hour shift, and she was eligible for one hour of time-and-one-half pay. Prosecutors have alleged, however, that Hanson was never helping a stranded motorist at all. Ferrelli said that supervisors reviewed footage from Hanson’s in-squad video system and discovered the license plate number she had provided for the stranded motorist’s vehicle was actually taken off of a parked and unoccupied vehicle near the Rt. 59 Transportation Center. 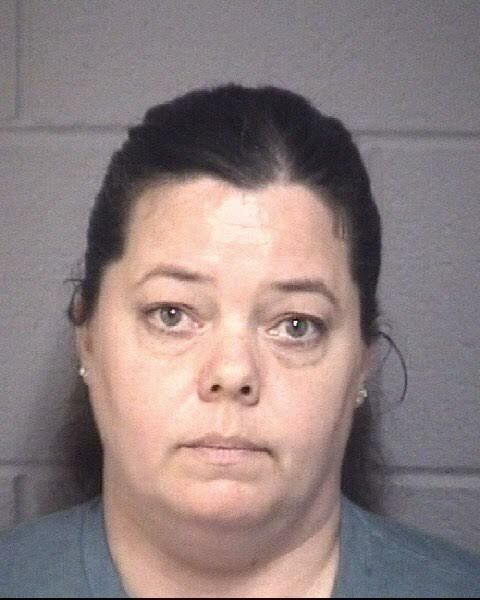 The video further showed Hanson driving around the Transportation Center parking lot and immediate area; parking in a retail center parking lot for several minutes, and returning to Aurora Police headquarters where she also parked for an extended period of time, Ferrelli said. At the end of her shift, Hanson followed procedures for turning in the overtime and combined it with additional time she had banked to take the following day off. The theft of $71.14 is a misdemeanor charge. Hanson has been on administrative leave with pay since Oct. 3  as the internal investigation continues. A warrant for her arrest was issued on Nov. 3 and she turned herself in at the DeKalb County Sheriff’s Department on Nov. 8. She posted $100 bail and her next court date is pending. Hanson has spent the majority of her career in the patrol division. She was assigned as a juvenile officer for six months in 2002 and spent 17 months as an investigator with the Kane County Child Advocacy Center from January 2003 to August 2004.